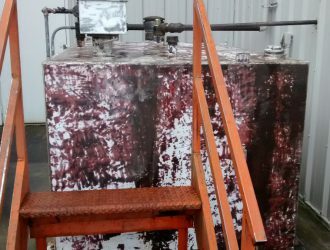 Fueling Systems Archives - Tait & Associates, Inc.
TAIT Environmental Services, Inc. (TAIT) has restored hundreds of Aboveground Storage Tanks across the nation for various clients. This adds years to the life of the tanks, which provide fuel for emergency generators to supply backup power for communications and other systems. This can be done at a fraction of the cost that replacing the tank would cost. TAIT Environmental Services, Inc. performed fuel system services for El Dorado County Department of Transportation (DOT) in Placerville, CA. 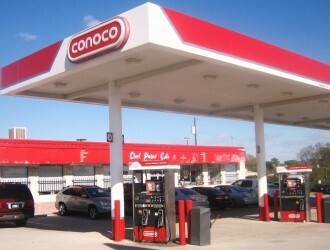 These services included installation of fueling dispensers, a new fuel management system, tank monitoring system, AST Piping, ground level fill boxes, and a syphon line. TAIT programmed and started up all systems, in addition to training the client on new features. 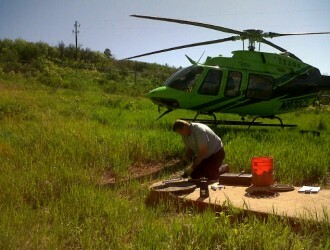 TAIT conducted vaulted tank inspections at remote communications facilities on behalf of CenturyLink. These tanks provide fuel for backup power systems at locations critical to CenturyLink’s communications network. Due to the significant terrain, TAIT coordinated air logistics to conduct the mandated inspections. Terrible Herbst is a large privately owned gas station company based in Nevada. TAIT was hired by Terrible Herbst to provide layout, design, permitting, and construction of fueling tanks at over 100 of their station sites throughout Nevada. 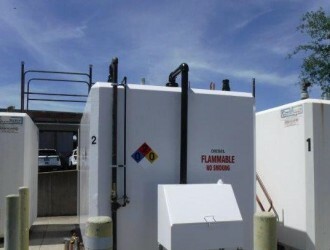 Many of the sites included car wash stations and lube oil tanks for the site’s lube center.